Victor Hugo’s Les Miserables is one of those stories that has been spun off so many times and so many ways that it’s hard to remember now what the original point of the story was. Is it a story of redemption? A screed about class warfare? A handbook to revolution? A really long, boring historical story about some dude who kind of wandered around for a while and then died? The answer is all of these, and also none of them. Each interpretation of the story has focused on something different. 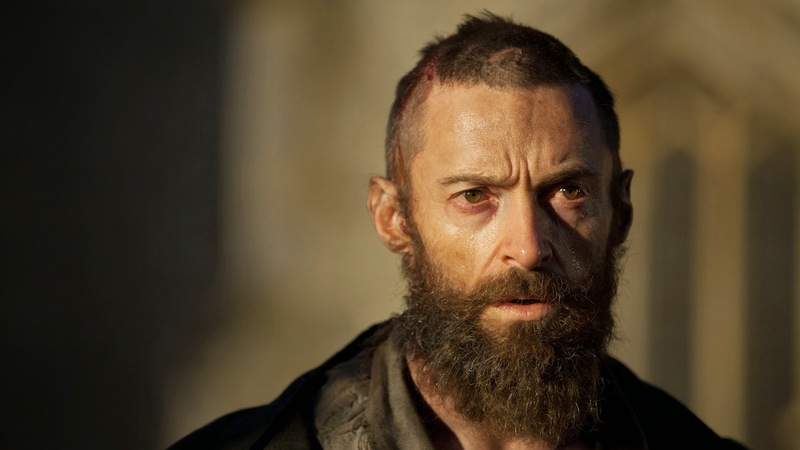 The 2012 Tom Hooper version locks its gaze on the redemptive arc of Jean Valjean. The early 2000s non-musical is more about the historical facets of the story and the relationship between Javert and Valjean. The musical is kind of all over the place, no matter how good the songs are, but it generally falls in favor of a romantic version of events, privileging love and human relationships over the movements of nations and the grim reality of war. Which of these is the real version? Well, all of them. All of them are equally valid, though not all of them are equally good. See, the thing that most people forget when making an adaptation of an existing work like Hugo’s masterpiece is that the real key to creating something you can be proud of is making it your own. So all of these are valid versions of the story, because they don’t just tell us about the original tale, they also tell us about the soul of the person adapting the story. We see what matters to them. And there’s a lot of value in that. The problem comes when a text, like Les Mis, becomes so popular and “revered” that one reading of the text becomes seen as more canon than another. So, in this case, the musical version and its emphasis on the romantic warm-fuzzies of the story tends to overshadow the other interpretations. Just by virtue of popularity. And that’s all well and good, I do quite like the musical, but it can also really mess things up. Why? Because when a single reading of the text becomes overwhelmingly popular like this, it’s easy for it to overshadow future interpretations. In other words, because of the popularity of the Les Mis musical, it’s hard now for anyone to imagine interpreting this story differently. Someone says, “I want to tell the story of Les Miserables!” and everyone assumes that they mean they want to tell it in precisely the same way the musical did. Set in that precise time frame, with that amount of screentime given to each historical period the story covers, with those themes, and those English accents. Seriously. It’s set in France. Why does literally every film version of this story insist on making the actors speak in British accents? It’s weird. Really weird. Hugh Jackman is Australian. Liam Neeson is Irish. Anne Hathaway and Uma Thurman are Americans. And all of their characters are French for crying out loud. That’s not a super important example, but I hope it gets across what I mean. Something so simple as the accent with which actors play these characters - the original musical had actors with British accents, because the original musical was cast and first performed in London’s West End. So of course the cast had British accents. But then it came to America, and everyone seemed to assume that British accents were part of how it was supposed to be done, and now, decades later, that’s a thing. A definite thing. 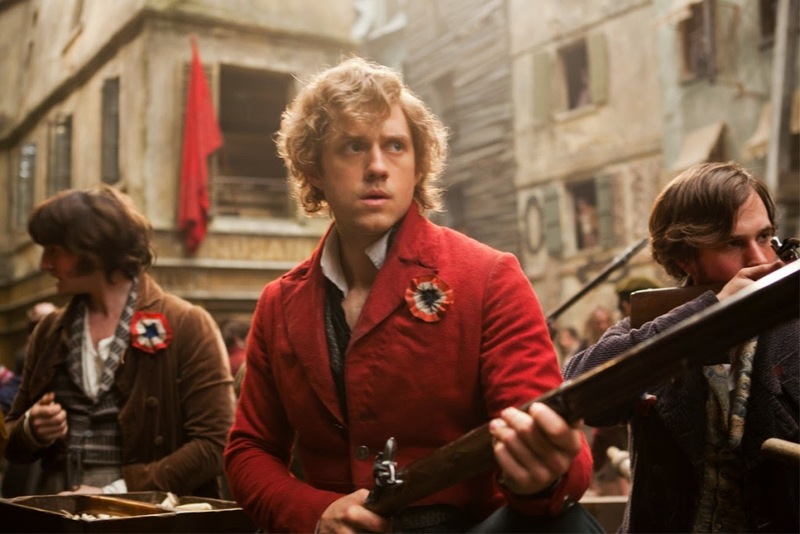 Can you imagine a version of Les Miserables where the actors had American accents? The horror! It’s stuff like this, but on a global scale. And unfortunately, it’s stuff like this that blinds us to the real important aspects of the story, the ones that actually do matter in reinterpretation. For example, Tom Hooper’s 2012 version of the musical was largely praised for sticking so closely to the original. The main criticisms had to do with the places where Hooper had decided to do something a little different, to play around with the source material. Like where he used a slightly experimental shooting style and shot a lot of it first person, on hand-held cameras. How he had the music recorded on set and not on a soundstage. How he gave parts of the story a heightened reality, a sense of surrealism not present in the stage version. All of those things? Are the parts I actually like about Hooper’s version. I don’t really give two craps about the rest of it. It’s mediocre sappy pablum, and I could live without it. But the haunting scene where Gavroche rides on the back of a carriage, staring into the camera and incisively diagnosing social malaise? Yeah, I like that. The part where the poor of Paris stare straight at the audience and demand neither their pity nor their condemnation, but rather their respect? I like that too. I like the parts where the movie makes you look. Where it grabs your chin, rubs your nose in it, and says Look at this. It is important. But the sweeping vistas of the French countryside and the montages of a broken Jean Valjean searching for work leave me cold. Now, part of this is the timing of the film. In translating the movie from stage to screen, I feel like Hooper made a big blunder when he decided to keep the weird narrative proportions of the musical. In the show, the first act covers about twenty years of time, skipping blithely through Valjean’s life, from his time as a prisoner all the way up through to his retirement as an old man in Paris. Literally, twenty years. And act two? It covers the space of maybe a couple of days. That’s very lopsided, obviously. And it works in the musical, because we have all that lovely, stirring revolutionary music and all that. 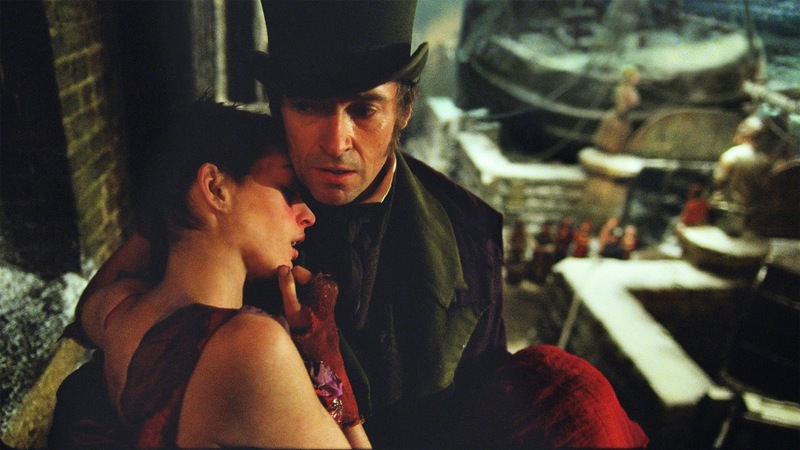 But in this film, Valjean is clearly situated as the main character. This is Hugh Jackman’s star turn. It’s Valjean’s story that we follow, his transformation that we hope for. And his transformation is over in the first five minutes. It doesn’t really make any sense, does it? The novel handles this by actually giving you a vast ensemble of developed and intriguing characters, and following all of their arcs as they reconcile or distance themselves from an understanding of God and redemption. Jean Valjean is the central character, yes, but he’s not the protagonist exactly. His transformation is largely a done deal in the story, and he functions more as a facilitator of others’ transformational journeys. 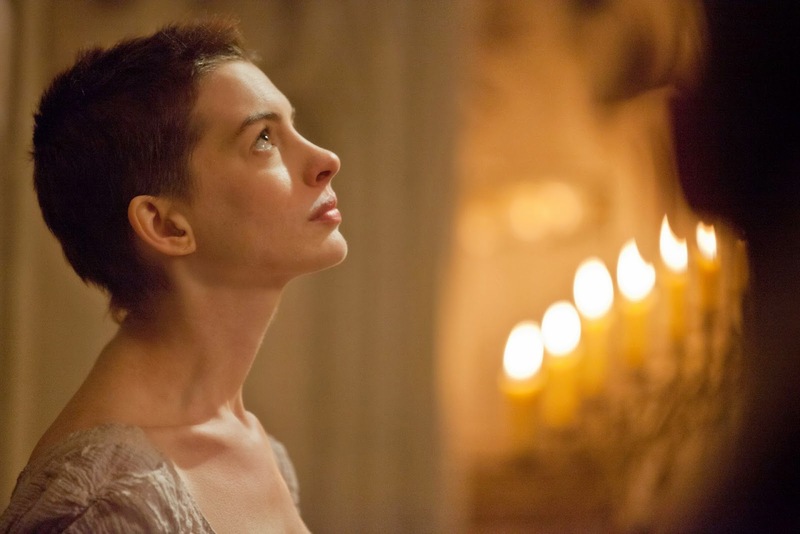 But in this movie, none of the other characters are developed enough to grasp the torch, save maybe Hathaway’s Fantine who barely gets any screentime, and so the story feels stilted. We’re here for Valjean, but he’s not very interesting. The better story would have been to show us Valjean as a young man, Valjean in prison, Valjean desperately seeking work, Valjean in rage and hatred and frustration, Valjean stealing from the Bishop, Valjean being broken, and Valjean repenting. Those first five minutes of the movie are the most compelling to me, and they’re glossed over in a series of cinematic montages. It’s not just that, though. Because I feel like, in a very real sense, we all love Les Miserables too much now to actually appreciate it. We spend so much time enjoying this one very specific version that we don’t really see the larger points being made. Obviously I’m talking about this in the context of Les Mis because it’s a story that I care about a lot. Heck, I’m even working on my own version (which is very much removed from the original, because it is set in space and also ridiculous), and a friend of mine in high school made a short film that recast the story into the second world war, with Jean Valjean as an escaped Jew fleeing the concentration camps, and Javert as a Gestapo officer hiding his Romany background. What I find interesting about these versions, both my space opera version and my friend’s retelling in the second world war, is that they are no less valid understandings of the original text than the ones that stick strictly to the setting in post-Revolutionary France and insist on keeping everyone’s names the same. Our stories are different, yeah, but that doesn’t make them bad. In fact, by changing the surface details, these radically different versions can often serve to more clearly highlight the actual meaning of the text. Take, for example, Clueless. Yeah, it’s a beloved teen classic, and very funny, but it’s also an incredibly clever retelling of Jane Austen’s Emma. What I love about the film, and what I think it manages much better than the stodgily true to the book Emma that came out a few years later, is that it really captures the essence and the point of the story. The point of the story is that Emma is kind-hearted, but ultimately naive and a bit prejudiced. It’s easier to see in Clueless because we’re not distracted by the trappings of the story. We just take it as it is. Or we could look at 10 Things I Hate About You, another teen classic (and one that really deeply influenced my idea of what it meant to be an awesome teenager). It’s based on Shakespeare’s The Taming of the Shrew, but it actually succeeds much better than the usual productions of the play at getting to the heart of the show’s material: marriage is a compromise between two individuals, and love is about choices and work more than romance and frippery. You can get that in the play, sure, but it’s a heck of a lot easier in the movie. Also there’s a Shakespeare Retold version that’s amazing, but that’s another matter. And also that one takes just as many liberties with the story as 10 Things does, it just happens to keep a bit of the dialogue the same. Anyway. The point here isn’t to bash adaptations that stay too faithful to the original material. A lot of those are amazing. Kenneth Branaugh’s Much Ado About Nothing is deeply devoted to its source material (and one of the best cast movies I have ever seen), and it’s amazing. No, faithful adaptations can be good. But so can adaptations that take a bit more liberty. What really matters in adapting a story is how much of the message of the story comes through. And I know that it’s not particularly cool or of the moment to talk about stories having “a message”, but let’s be real, they all do. Every story tells us something about the world and who we are in it, the question is what it’s saying. And chances are, if you love a story, you love what it says. So if you adapt that story, you should be adapting the message that you love. 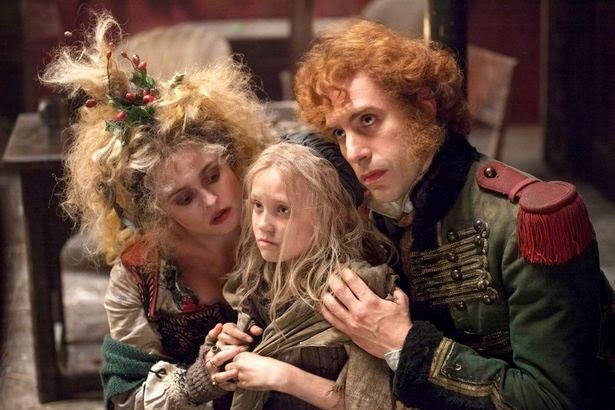 For me, in Les Miserables, what I love is the story of redemption, but also the pragmatic realism of the circumstances these characters find themselves in. The schoolboys fail in their revolution. Some good people die, and some bad people continue to thrive no matter what happens. A few people get happy endings. More people don’t. It’s a story about identity, about how our circumstances define who we are, and how the world will define us if we let it. Jean Valjean’s story is one of self-understanding, his constant refrain, “Who am I?” It’s an important story. And it’s a story that, when I adapted it, I changed surface details of, in order to highlight the beauty underneath. That underneath stuff is the part that really matters. All the rest of it is frosting. 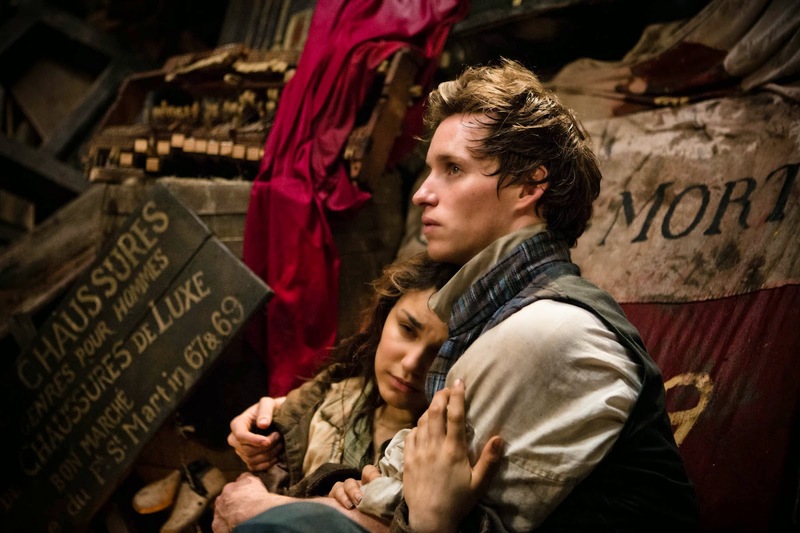 The problem comes when a text, like Les Mis, becomes so popular and “revered” that one reading of the text becomes seen as more canon than another. Dracula is my own bugbear on that subject - specifically the supposed romantic connection between Mina and Dracula, which is *completely* absent from the book. Oh my gosh! I hate it when they do that. And the new Dracula show centered its entire arc on that misconception.